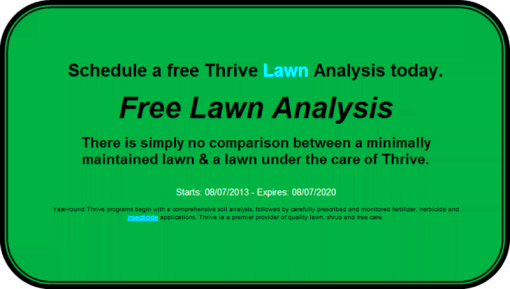 Thrive Landscape Management is proud to offer new and existing customers our Special Offer coupons for landscaping, lawn maintenance and lawn fertilization throughout New Orleans and surrounding areas. 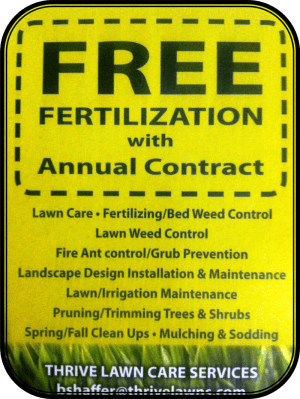 Simply click on any of our Special Offer coupons below, print them out and present them to any of our landscape experts when they arrive at your home. Feel free to call us anytime at (504) 263-3588 for a free landscaping consultation.